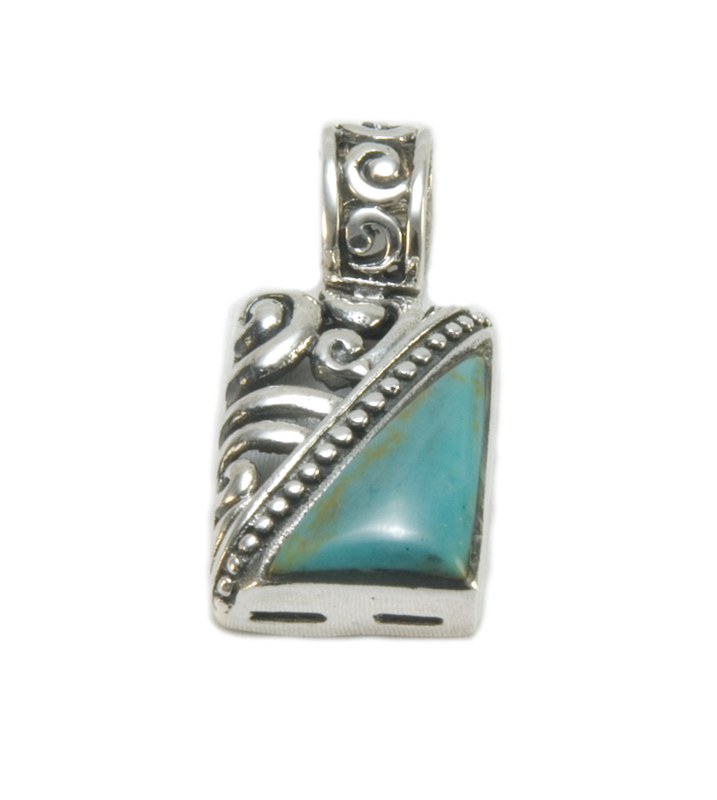 925 sterling silver turquoise pendant, antic design. Size 22mm x 15mm. SAVE UP TO 50% BUY IN BULK! 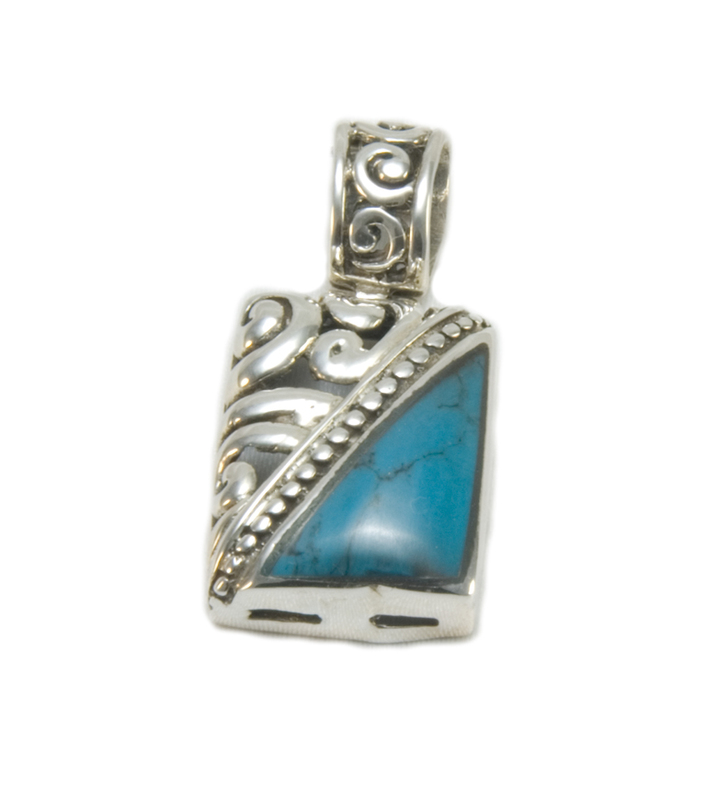 Purchase 12 pieces per style from BULK SALE. No further discounts apply. SAVE 10% off the regular price of Fashion Jewellery starting with "F". Purchase 12 pieces per style. SAVE 5% off the regular price of our full jewellery range when you purchase 12 pieces per style. SAVE with our monthly specials. Check out the SALE items often. Price and styles always changing.